Earlier this year, the mission team had the opportunity to hear Ben Royer describes a fishing expedition that he'll never forget. Once you hear this, you'll also probably never forget it. 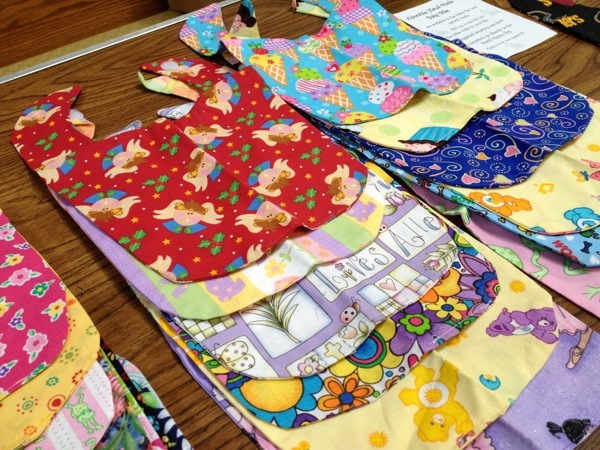 Adorable hand-made bibs are available in the church lobby the next several weeks. Pick up a cute bib for the little cuties in your life. Suggested donations are $3.00. All donations go directly to the Brazil Mission Trip. Thank you for or support!